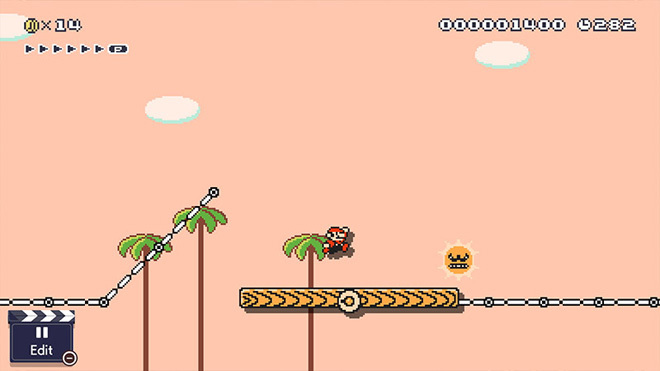 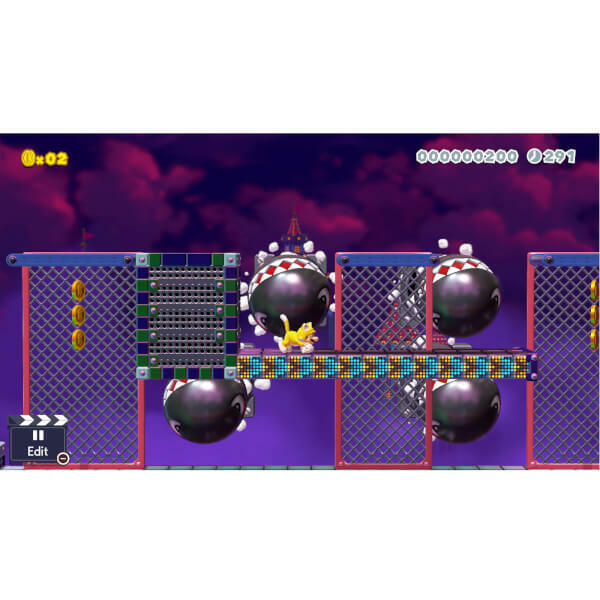 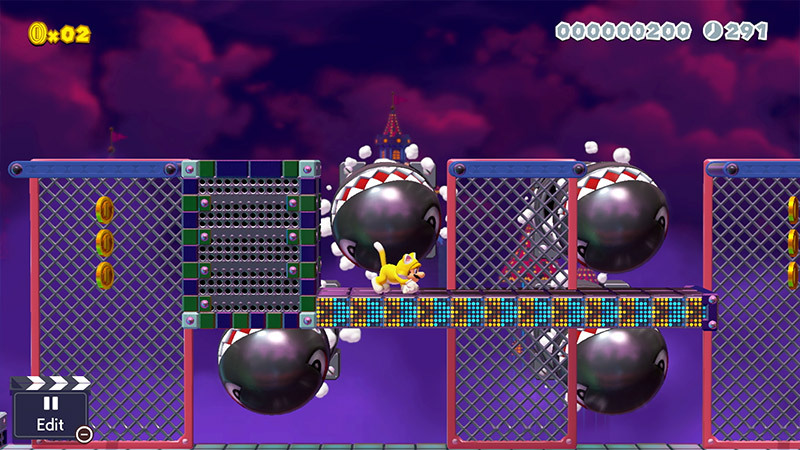 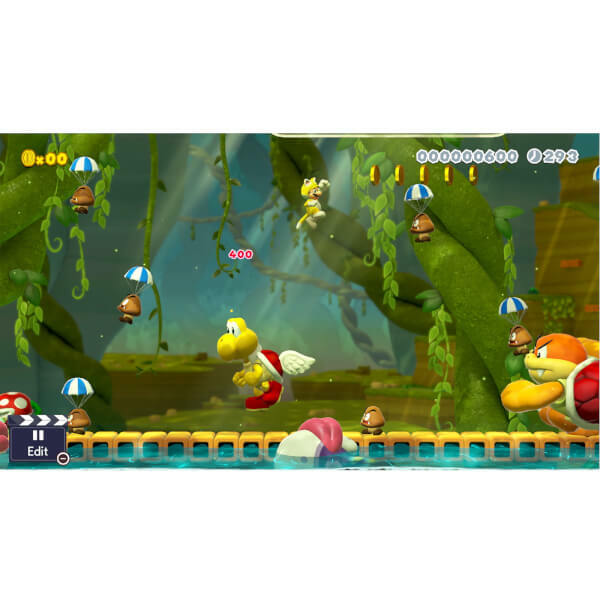 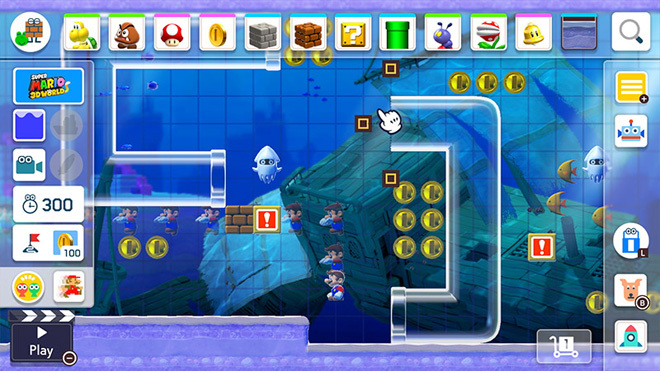 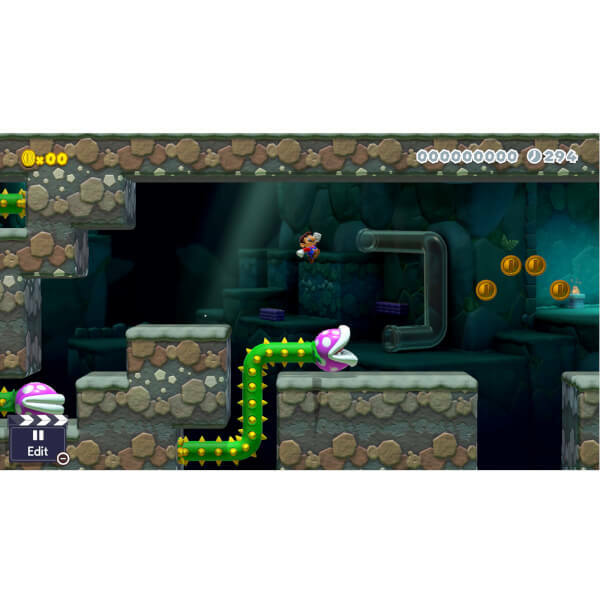 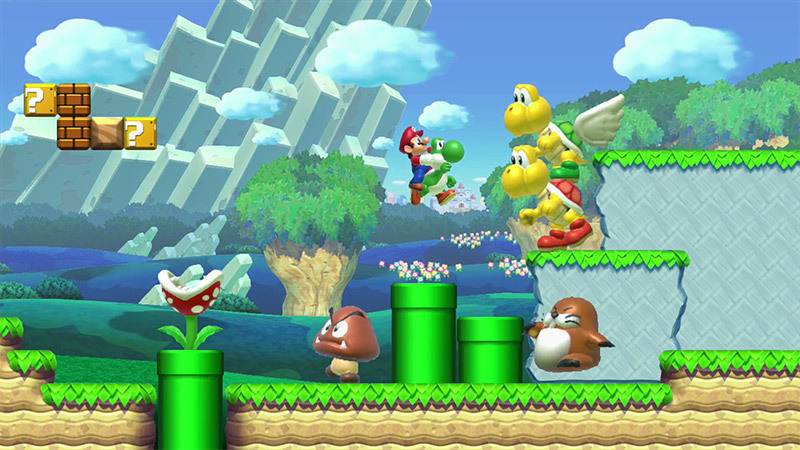 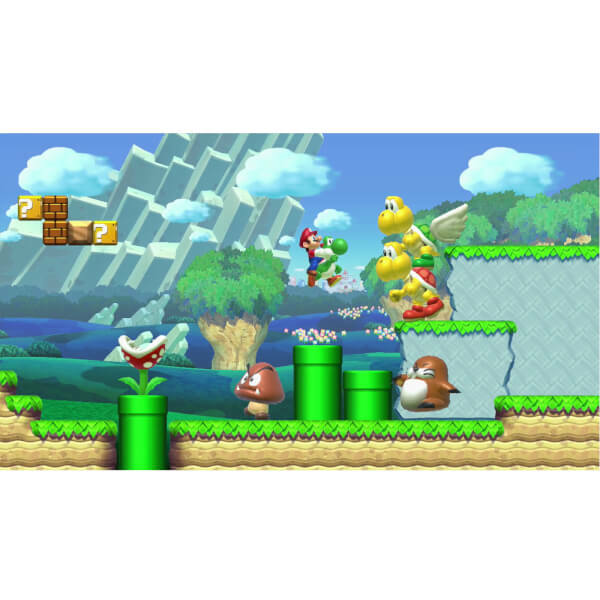 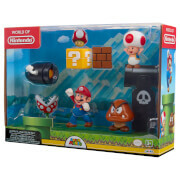 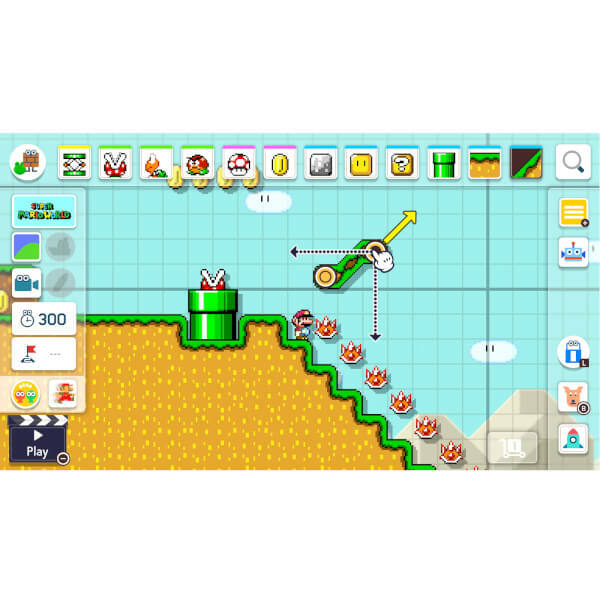 Let your imagination run wild in Super Mario Maker 2 and create all manner of Super Mario courses using your imagination and a whole host of tools at your disposal. 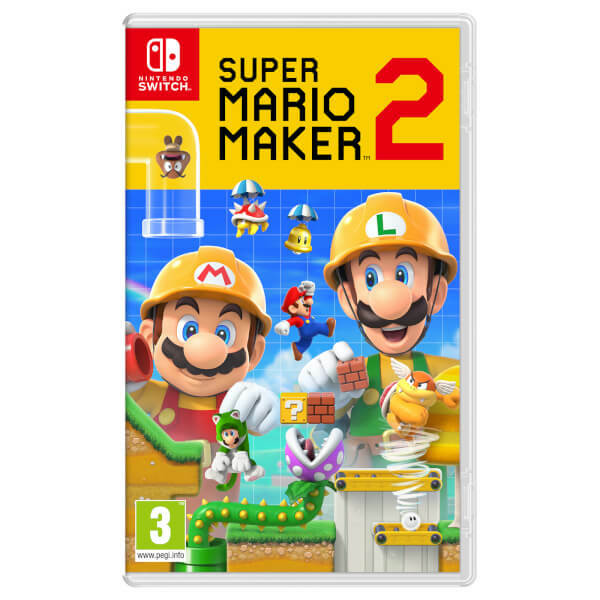 This sequel to Super Mario Maker launches exclusively on Nintendo Switch. 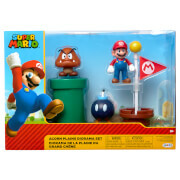 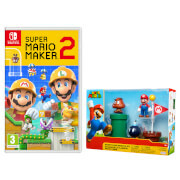 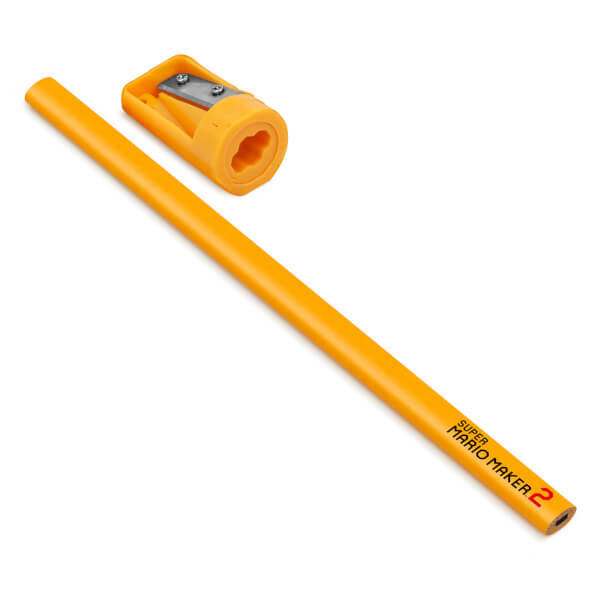 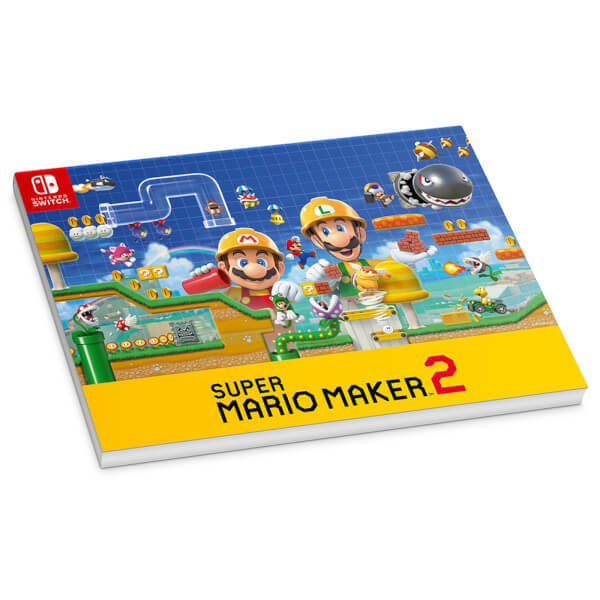 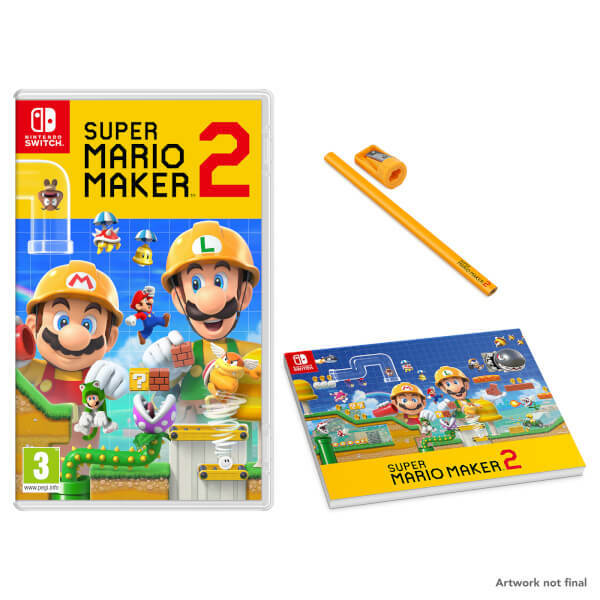 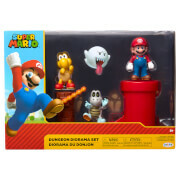 This bundle includes Super Mario Maker 2 game with a Carpenters Drawing Pad and Pencil Set. 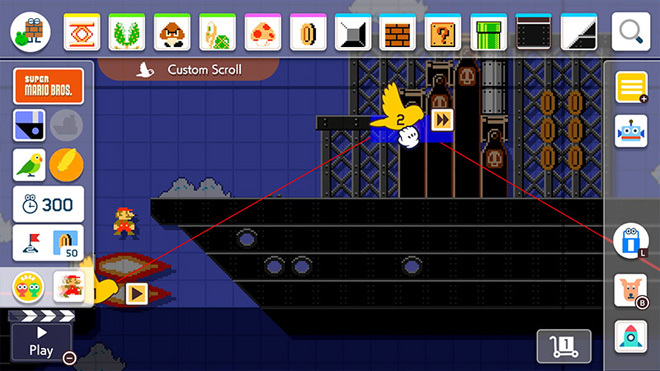 Super Mario Maker is Back! 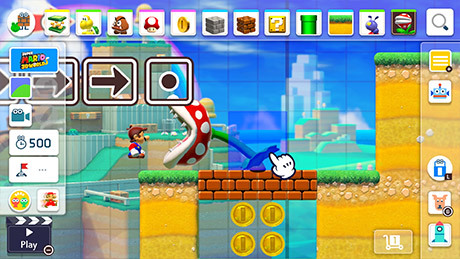 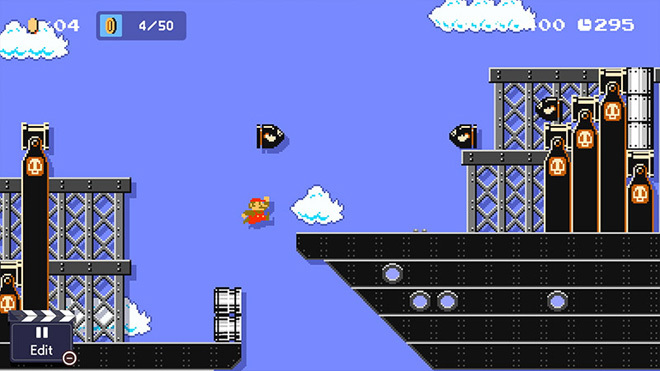 Releasing exclusively for Nintendo Switch, Super Mario Maker 2 allows players to create the Super Mario courses of their dreams. 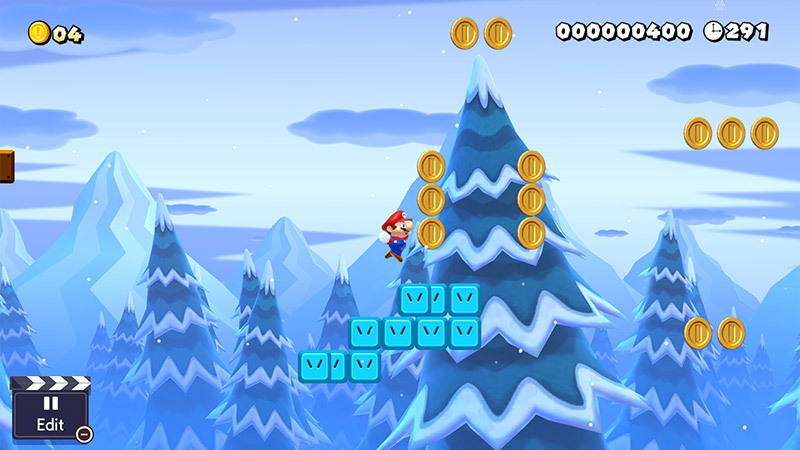 This new game, the sequel to the original Wii U game, gives you access to even more tools, items and features, including the new ability to create slopes for the first time. 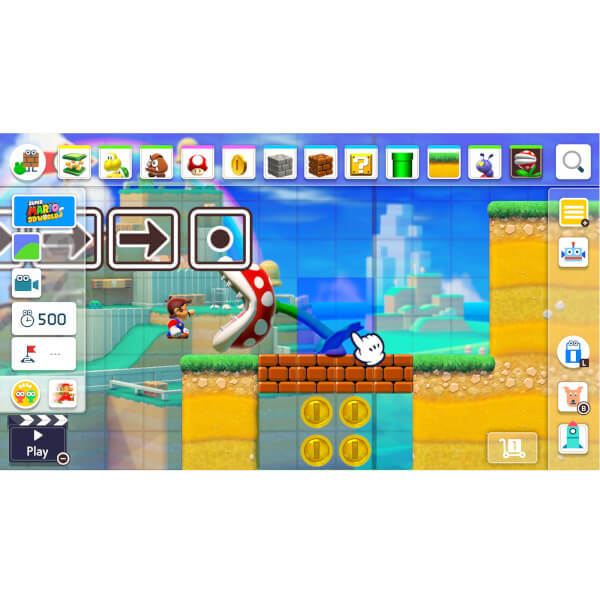 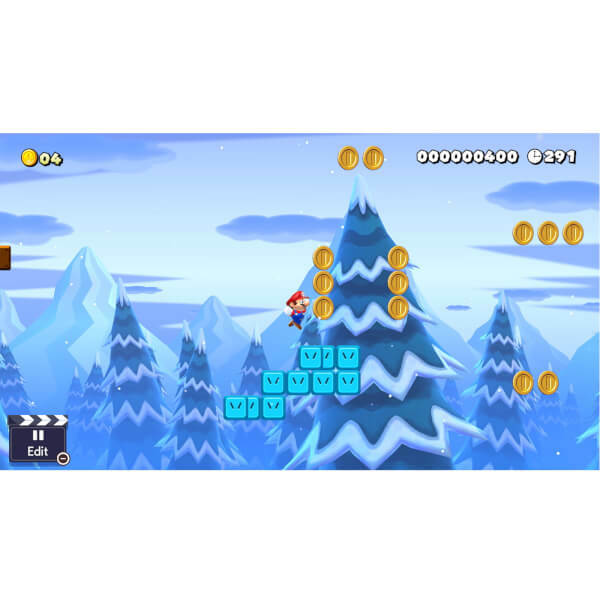 Create whatever designs you want using course visual styles and game play from classic Mario titles such as Super Mario Bros., Super Mario Bros. 3, Super Mario World, New Super Mario Bros. U and even Super Mario 3D World! 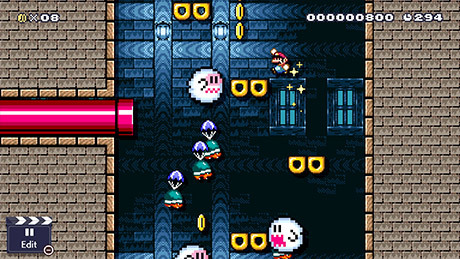 Once you are happy with your masterpiece, you can play through it to your heart's content and edit and improve whenever and wherever you want. 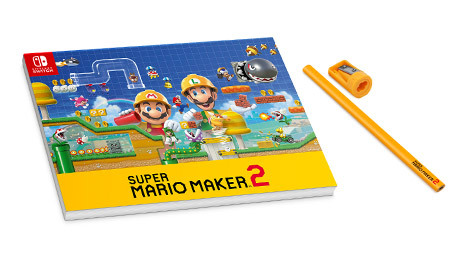 Use the Super Mario Maker 2 Pad and Pencil to draw up the level of your dreams. 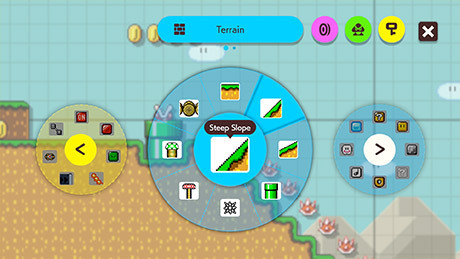 Once down on paper, you can reference it when you are ready to create your level on the Nintendo Switch!